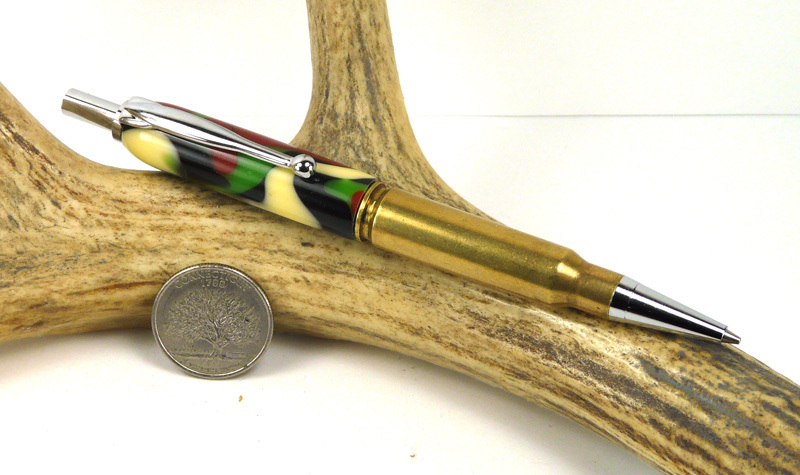 Made from an actual once fired .308 cartridge. The .308 Winchester is a rifle cartridge and is the commercial cartridge upon which the military 7.62x51mm NATO centerfire cartridge is based. The .308 Winchester was introduced in 1952, two years prior to the NATO adoption of the 7.62x51mm NATO T65. Winchester branded the cartridge and introduced it to the commercial hunting market as the .308 Winchester. Winchester's Model 70 and Model 88 rifles were subsequently chambered for the new cartridge. 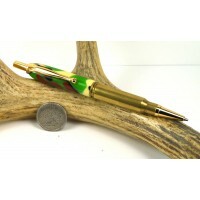 Since then, the .308 Winchester has become the most popular short-action, big-game hunting cartridge worldwide. It is also commonly used for civilian target shooting, military sniping, and police sharpshooting. A tube of replacement leads for your mechanical pencil. Choose the lead size you need. 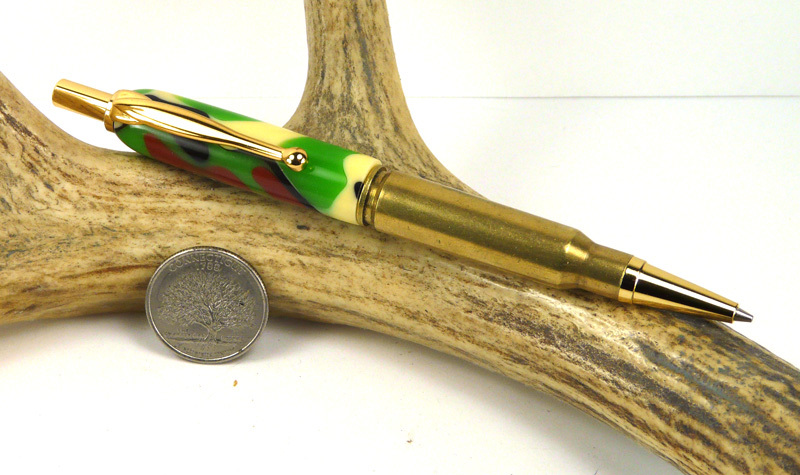 ..
Made from an actual once fired .270 cartridge with a real solid copper bullet as the nib.The .270 Wi..
Made from an actual once fired .303 cartridge..303 British, or 7.7x56mmR, is a .303-inch (7.7 mm) ca..
Made from an actual once fired .308 cartridge.The .308 Winchester is a rifle cartridge and is the co..